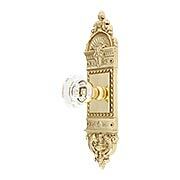 Dazzling crystal knobs and richly decorated plates make this a wonderful choice for any formal interior. Introduced by Yale & Town around 1910 as part of their popular Flemish Renaissance line, this late Victorian design is every bit as appealing today. 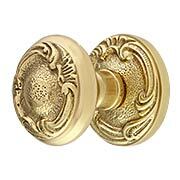 Finely crafted from solid, forged brass in six popular finishes. 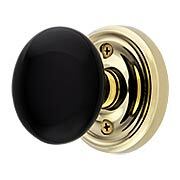 Handsome glass knobs add a sparkling accent to this velvety bronze Lorraine door set. The enduring beauty of P. & F. Corbin's delicate, turn-of-the-century design will give your new or vintage doors a wonderful period effect. 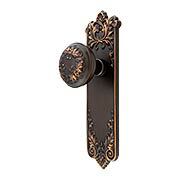 Faithfully reproduced in stamped bronze with a chocolaty, oil-rubbed finish. 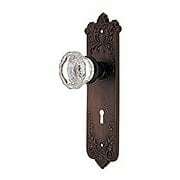 The alluring blend of sparkling glass and velvety, oil-rubbed bronze makes our Lorraine door set a wonderful choice for your new or vintage home. 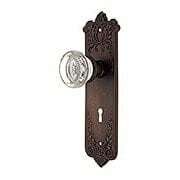 The enduring beauty of Corbin's circa 1905 design is faithfully recreated in stamped bronze and finished to perfection with subtle, coppery highlights - just like the antique originals. 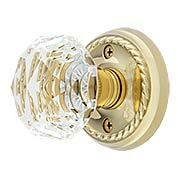 The enduring beauty of P. & F. Corbin's "Lorraine" pattern makes this mortise lock set a wonderful choice for your new or vintage home. 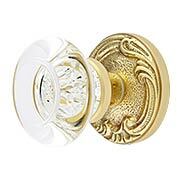 Velvety bronze back plates, paired with sparkling, silver-backed glass knobs, will give your doors a lovely period look. 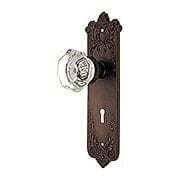 This circa 1905 design is faithfully recreated in stamped bronze and finished to perfection with subtle, coppery highlights. 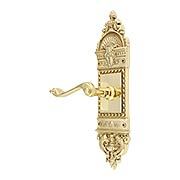 The enduring beauty of P & F . Corbin's Lorraine pattern makes this door set a wonderful choice for your new or vintage home. 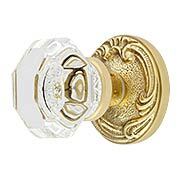 Velvety bronze back plates, paired with sparkling, silver-backed glass knobs, give your doors a lovely period look. This circa 1905 design is faithfully recreated in stamped bronze and finished to perfection with subtle, coppery highlights. 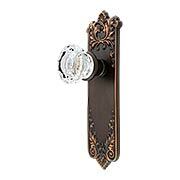 This charming Rococo rosette set is the perfect compliment to any French-provincial interior. 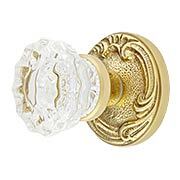 Distinctive oval crystal knobs in the style of P. E. Guerin add a wonderful Victorian touch that will set your home apart. 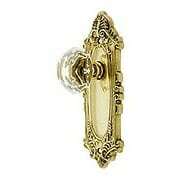 Tailor this set to match your decor with seven fabulous finishe choices. 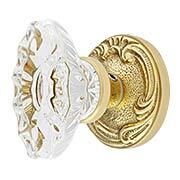 Classic crystal knobs and fanciful Rococo rosettes make this charming door set the perfect compliment to any French-provincial style interior. 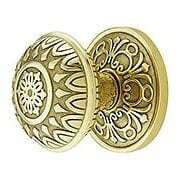 With three functions and seven fabulous finishes, you can tailor this set to every room in your house. 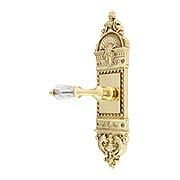 Manufactured in solid cast brass. 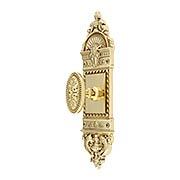 This charming Rococo-style door set is the perfect compliment to any French-provincial interior. 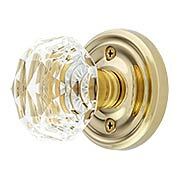 The stunningly clear crystal knobs will instantly transform your doors from dull to delightful. 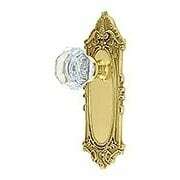 With three functions and seven fabulous finishes, you can tailor this set to every room in your house. This charming Rococo rosette set is the perfect compliment to any French-provincial interior. 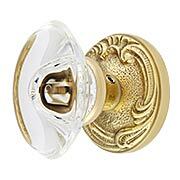 Fluted oval crystal knobs in the manner of P. E. Guerin add an incredible sparkle that will set your home apart. With three functions and seven fabulous finishes you can tailor the design to match your unique decor. 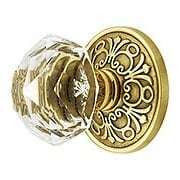 Dazzling diamond cut crystal knobs will add an extravagant sparkle to every room in your house. Inspired by the vintage creations of P. E. Guerin, these stunning reproductions are made of top-quality lead crystal for exceptional clarity and brilliance. 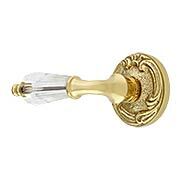 Paired with classic, solid brass rope rosettes, and offered in six traditional finishes, they'll complement virtually any style of décor. Dazzling diamond cut crystal knobs add an extravagant sparkle to this wonderfully decorative door set. Introduced by Yale & Town around 1910 as part of their popular Flemish Renaissance line, the "Largo" design is every bit as appealing today. 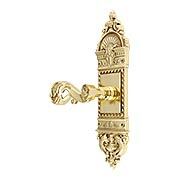 Finely crafted from solid, forged brass in four popular finishes.